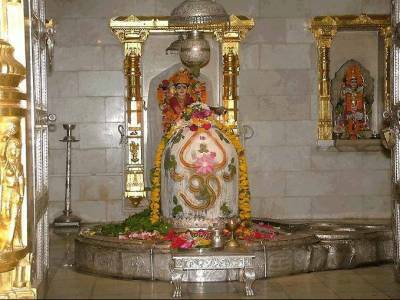 Somnath Jyotirlinga Temple is an ancient time temple dedicated to the Lord Shiva and located in Prabhas Patan near Veraval in Saurashtra of Gujarat, this Jyotirlinga is said to be the first among all the twelve Jyotilinga’s of Lord Shiva. 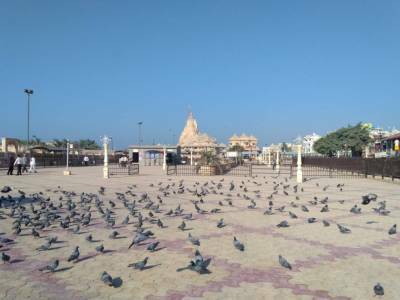 Somnath is an ancient temple which was destroyed and rebuilt many a times throughout history. 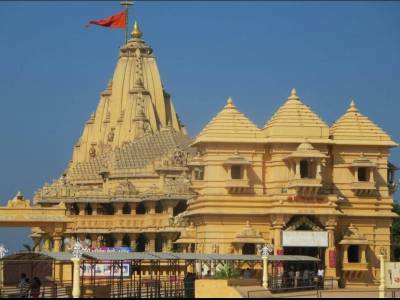 The sacredness of the Somnath temple’s site increases manifold, as it also happens to be a confluence (or Triveni Sangam) of the three rivers, Hiran, Kapila and Saraswati, supposed to be immensely sacred in Hinduism. The story behind the Somnath temple, as per the Hindu mythology, is quite interesting. It is said that to get rid of a curse of losing his brightness, placed on him by his father-in-law, the Moon God prayed to Lord Shiva for years. On being appeased by his constant devotion and penance, Lord Shiva appeared and blessed him with health and radiance. The place where he appeared as a “fiery column of light” became pious and was blessed to sustain Lord Shiva’s glory through his Jyotirlinga. It is said that by visiting these Jyotirlinga’s, one is blessed to be released from the never ending cycle of life and death and finally attain “Moksha”. 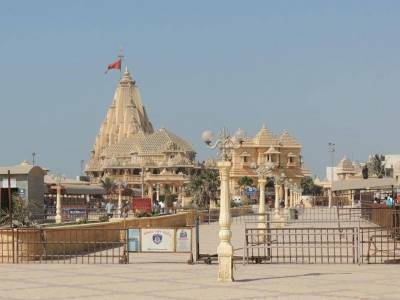 Millions of devotees visit Somnath Jyotirlinga every year to revive their faith and experience the beauty of Saurashtra, a peninsular region that provides a picturesque destination for sore eyes and tired hearts. 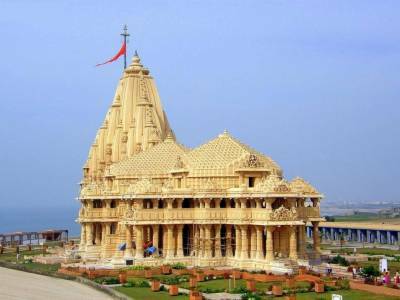 Visit Somnath Jyotirlinga, not only to quench your spiritual thirst, but also other destinations such as the beautiful Somnath beaches, Gir National Park and many other interesting tourist attractions that boast of captivating natural beauty, that lie nearby. Get quick answers from travelers who visit to Somnath Jyotirlinga.